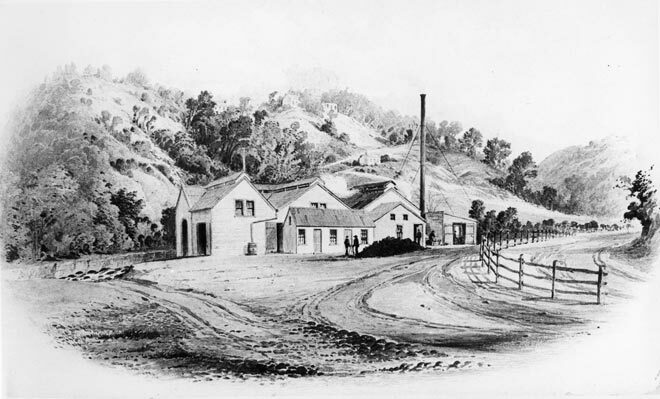 In the 1880s the Otago Paper Mills at Woodhaugh, Dunedin, produced about 200 tonnes of paper a year. Not visible in the painting is the water source needed for making paper. Some mills, like New Zealand’s other mill at Mataura, used water wheels to drive machinery. The papermaking process itself required water, and rivers and streams were used to dispose of waste. The Woodhaugh site had access to both the Leith and another creek opposite the mill.